Bozeman is a year-round destination and is always bursting with activity. With summer and winter festivals, Montana State University, concerts, outdoor, and sporting events, be sure to plan ahead and take advantage of all the area has to offer! Bozeman offers a diverse culture of art, music, entertainment, and fun! Stop by a local coffee shop to hear some live music or visit one of the art stores to see some local artists display their work! From Asian cuisine to all-American food, Bozeman prides itself in a variety of restaurants and their quality cuisine. Shopping in downtown Bozeman is also a fun and unique event that resembles a "small town" boutique experience. While some places close down when the first snow hits, Bozeman is always bursting with new activity as lovers of the outdoors hit the slopes and enjoy the winter months! 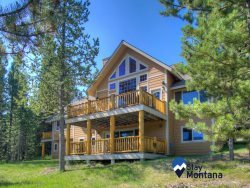 If you are visiting Montana during this time, be sure to plan ahead and take advantage of all the area has to offer!